The ridge board and rafters are the strength of the roof. Choose a ridge board that is one size larger than your common rafters. 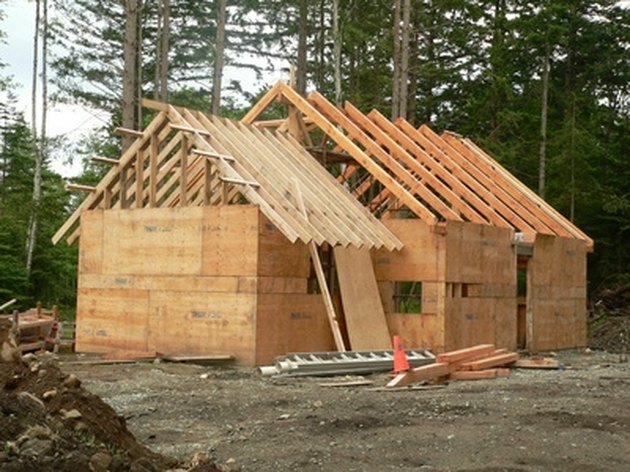 For 2 X 4 rafters, use a 2 X 6 ridge board; for 2 X 6 rafters, use a 2 X 8 ridge board, and so on. The ridge board's length will be the outside measurement of the building plus the length of the overhang, at both ends. You may splice two boards together to achieve this length, if necessary, using a 14 and 1/2-inch block of the same material. Put the splice where it will not interfere with the placement of rafters. Make two measurements to mark the location of the first gable-end rafter. From the end of the board, measure the width of the soffit, and mark using the carpenter's square. Now measure again and add 1 and 1/2 inches to give you the placement of the outside face of the gable-end rafter. This puts the gable-end slightly inside the building, so gable studs can be flat-nailed easily and neatly. Rip the end of the board down to 2 X 4, at the top up to the first mark. 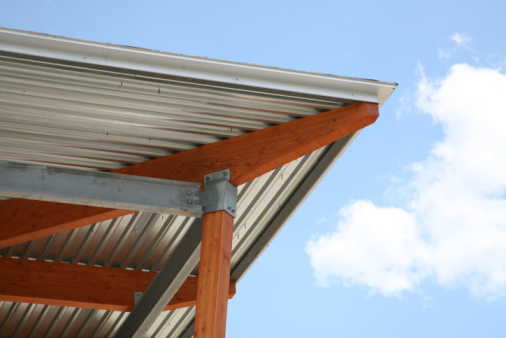 This allows the soffit to fit without further notching when you are up on the roof. Hand up the first gable-end rafter. Temporarily toenail it into place on the top plate, using 8-penny nails, remembering to allow an extra 1 and 1/2 inches from the end of the wall.